Study the safety conditions for correctional personnel and prisoners while on the premises of Texas Department of Criminal Justice (TDCJ) facilities, and if legislative or regulatory action is needed make recommendations. Among other matters, the study should consider effectiveness of guard training and the appropriateness of security measures for inmates. Review the medical and mental health treatment of inmates while incarcerated in TDCJ facilities and evaluate the effectiveness of mental health treatment for offenders after they have been released. Offer recommendations for any necessary statutory or regulatory changes. 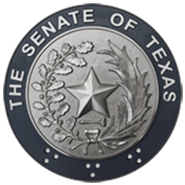 Continue to monitor the implementation of the Rehabilitation Tier in TDCJ and the Master Facilities Utilization Plan as recommended in the Committee's interim report for the 75th Legislative Session. Study the general capacity needs of TDCJ through the year 2004 and make recommendations for enhanced facility use, construction needs, or alternatives to incarceration. Monitor the implementation of major criminal justice legislation passed by the Legislature during the 1997 regular session including: SB 367, regarding out-of-state inmates and private correctional facilities; HB 1301 and HB 2324, regarding the prison industries program; and HB 1112 relating to parole. Make recommendations for further legislative action, if necessary. Evaluate and, if needed, make recommendations for enhancing super-intensive supervision and other parole supervision efforts to ensure that parolees are sufficiently supervised upon release. In its work, the Committee should study technological advances that offer more effective supervision of offenders in a cost-effective manner. Study inmate access to third parties' personal information obtained while working in the prison industries program. Evaluate the effectiveness of enforcement by prison authorities of current laws prohibiting inmate access, posession, or dissemination of certain information. Make recommendations for any necessary or regulatory changes.